World Cancer Day: Cancer - Did you know? 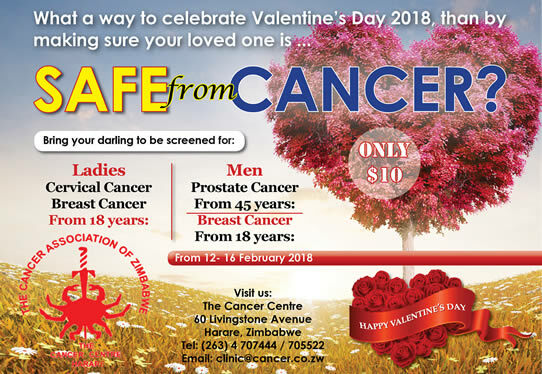 Valentines Day Special – Save A Loved One! PINK DAY – Make a difference, spread the word and help save a life! 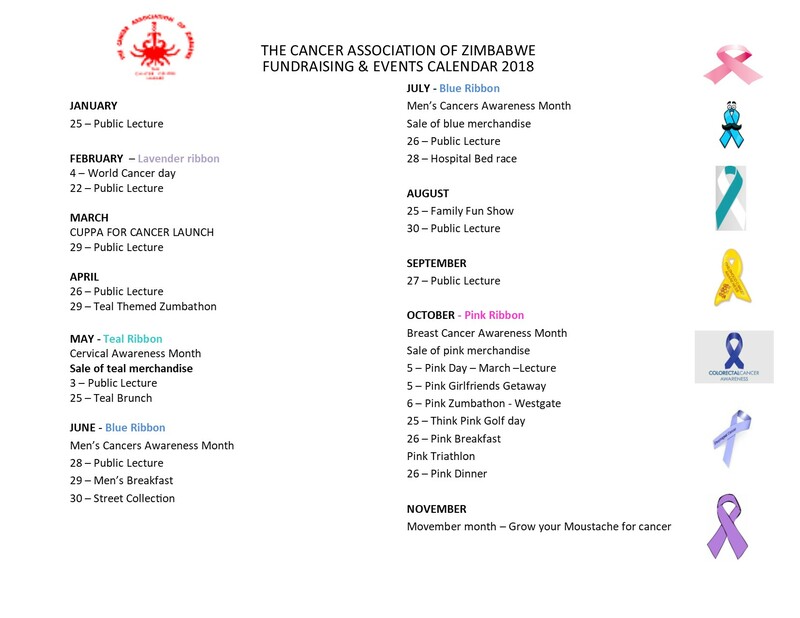 The Cancer Association of Zimbabwe invites organisations, schools, clubs and individuals to wear pink and donate all for the "Pink Day " cause in October. Funds raised will assist Breast Cancer patients. For more info and updates on the Pink Day please like our Face Book page The Cancer Association of Zimbabwe. To register contact Linda/ Hildry on (04)705522/ 707444 or Email fundraising@cancer.co.zw. Make a difference, spread the word and help save a life. Regular screening is the best method of detecting cervical cancer as well as other common cancers early, when treatment can be effective. Cervical cancer can be prevented. It can also be cured if diagnosed and treated early.